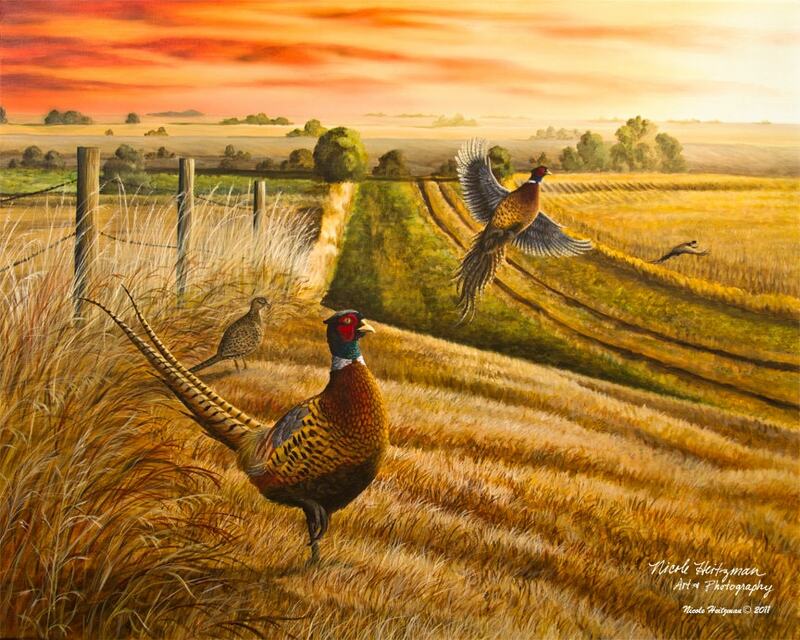 Nicole Heitzman painted this beautiful back country road scene from inspirations of many South Dakota pheasant hunts. It is titled "Rooster Road". The fall palette offers a variety of warm colors that draw the viewer in as if they were truly in the rolling plains of South Dakota. The original painting is created with acrylics on canvas. This 20"x16"x3/4" image is a Limited Edition Canvas Giclee print. There are 300 prints in this edition. Contact Nicole for custom framing options.